The details are extracted from a Red Machine, a book about untold stories of the Liverpool Boot Room which is serialised by UK's Telegraph. 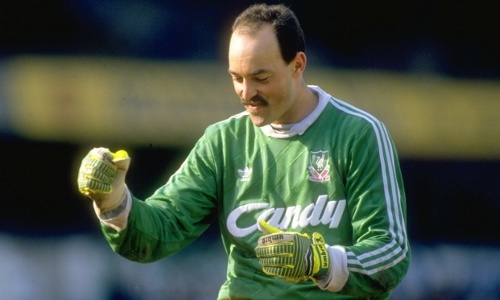 Grobbelaar's fledgling career was interrupted when he was called up to fight in the Bush War. He joined the Rhodesian army in 1975, having trained for six weeks outside Bulawayo. "How can I forget or forgive myself for killing a fellow human being, even if it was in a war? I still have nightmares about it. "When you're eyeball to eyeball with the enemy, you know that one of you is going to die. But that doesn't make it any easier in dealing with the guilt. "My time came when we were helicoptered into a village on the Mozambican border with the sole instruction of shooting anything that moved. One of the enemy came at me and I shot him. I felt nothing but relief at the time. To say it changed me is an understatement. From then on, I set out to live life to the full." In one interview he did with the Guardian Grobbelaar said: "On border control at Christmas, we were mortared by 'freedom fighters' [forces fighting for black-majority independence against Ian Smith's whites-only government]. It was my first experience of live bush war. Our shelters became bunkers with sandbags over our heads. It was frightening. Two colleagues were injured very badly and the school that we were guarding was destroyed. After that I became a tracker, working in groups of four that would be airlifted ahead of our units to areas where there was direct contact [with the enemy]. Of course, the enemy were human beings; I remember returning to my mother's house on leave and the house-boy's son told me he had joined the freedom fighters. I said to him: 'If we meet in the bush I'm going to have to shoot you. Make sure you go well.' And he said: 'I will have to shoot you too.' He was killed and I survived." Grobbelaar, who now lives in Canada, was born in Durban, South Africa, in 1957 and his family moved to Rhodesia when he was two.